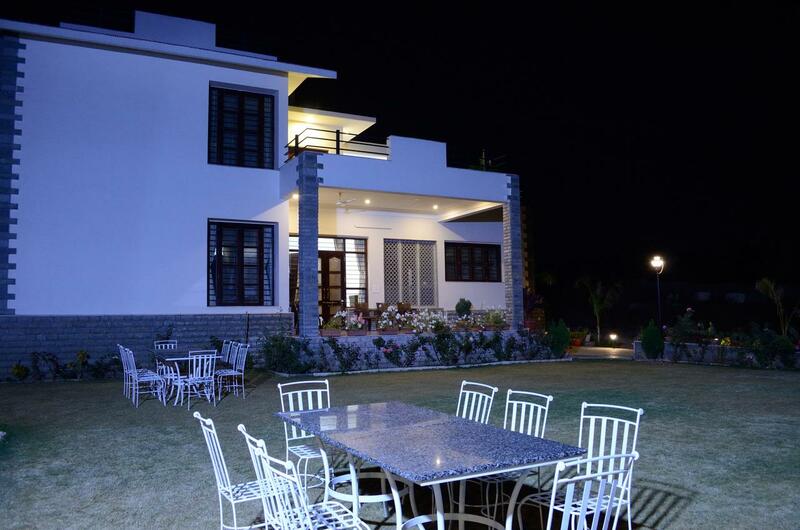 Amidst astonishingly scenic hills of the Aravali mountain range is Udaipur, home to Dilip Niwas Homestay, a unique boutique home stay guesthouse. This property is home to the “Piplaj” Family. Your host Aryaveer, has extended experience, spanning over a decade, in Indian as well as international hospitality industry. His in-depth understanding of the trade and love for travel was a huge motivation to create a guest house in his family home- which offers the discerning travellers luxurious comfort in great open spaces with the most beautiful views of the hills around with a warmth of personal touch.Dilip Niwas is named after Aryaveer’s grandfather Late Thakur Dilip Singhji Shaktawat of Piplaj. The Bungalow is designed and created with minimal disturbance to the surrounding ecology and at the same time absorbs the natural splendour of the surroundings with spacious gardens, open terraces, airy feel all around a chance to be in the lap of nature at the edge of a bustling city. One can get lost in the mesmerizing sounds of various birds tweeting around and often spot Blue Bulls, Jackals, Jungle Cat even the elusive Indian leopard if lucky in close vicinity of the guesthouse.The bungalow has three theme based rooms which are all unique, luxurious and beautiful. Each room is equipped with all modern amenities and en-suite bathrooms with interiors and curios all handpicked & laid out with utmost love. Every room has large windows offering a scenic view of the “deciduous” Aravali Mountains. Currency Exchange, Disabled Facilities, Internet/Wi-Fi, Restaurant, Conference Hall, Complimentary Newspapers in Lobby, Business Facilities, Backup Generator, Gift Shops/News Stand, Parking. Safe Deposit Locker Facility, Internet Access, Child Care, Television Room, Complimentary Toiletries, Complimentary Toiletries, Desk, Basic Bathroom Amenities, Television Room, H/C Water. User reviews for "Dilip Niwas Hotel Udaipur"